This week the Rotary Club of Washington, DC, welcomed guest speaker Eva Schöfer, Director of the Austrian Cultural Forum for the Embassy of Austria. President Lisa McCurdy opened the meeting at 12:30 pm and requested everyone silence all cell phones. President Lisa McCurdy led us all in the Pledge of Allegiance. Deputy Secretary Whitney Doll welcomed guests and visiting Rotarians. Sergeant-at-Arms Bill Day then announced the birthdays and anniversaries. The guest speaker, Eva Schöfer, was introduced. 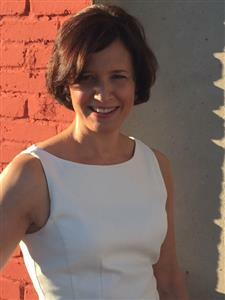 Eva, an Austrian diplomat, has held the position of Director of the Austrian Cultural Forum at the Austrian Embassy in Washington, DC, since Sept. 2017. Before that, she was the Deputy Director of the Human Rights Department in the Office of the Legal Adviser of the Austrian Federal Ministry for Europe, Integration and Foreign Affairs, for three years. Additionally, she has been posted at the Austrian Embassy in Mexico and the Austrian Permanent Mission to the UN in Geneva, Switzerland. Prior to joining the Austrian Foreign Service, she worked at the International Law Faculty of the University of Graz as well as a Programme Officer and Lecturer for the Austrian non-profit organization “ETC” (European Training and Research Centre for Human Rights and Democracy). She holds a degree in law from the University of Graz and completed LLM studies in Comparative, European and International Law at the University of Maastricht in The Netherlands. President Lisa McCurdy adjourned the weekly meeting with final remarks at 1:30 p.m.